as a board member on the Nottingham Crime and Drugs Partnership since 2012, Professor Tseloni has advised on crime rates and patterns in Nottinghamshire. Prior to Professor Tseloni's research, victimisation risk factors were usually based on the dichotomy between victims and non-victims. This approach overlooks repeat victimisation, which accounts for a large proportion of crime. It also over-estimates victimisation risk and underestimates repeat victimisation, even though crime is best prevented when focussing on repeat victims. Professor Tseloni's victimisation research informs theory and crime prevention by examining the entire distribution of crime incidents (rather than the dichotomy of victim / non-victim) over both contextual and individual risk factors. Crime rates have fallen significantly in recent times across the world, but until Professor Tseloni's collaborative work, research focussed on the US and Canada and explained the reduction in terms of the potential effect of criminal justice policies. Tseloni's collaborative work showed that the reductions in crime rates were international in nature. This research then tested international rather than criminal justice explanations, in particular the hypothesis that generalised and improved security was the main driver of crime falls. 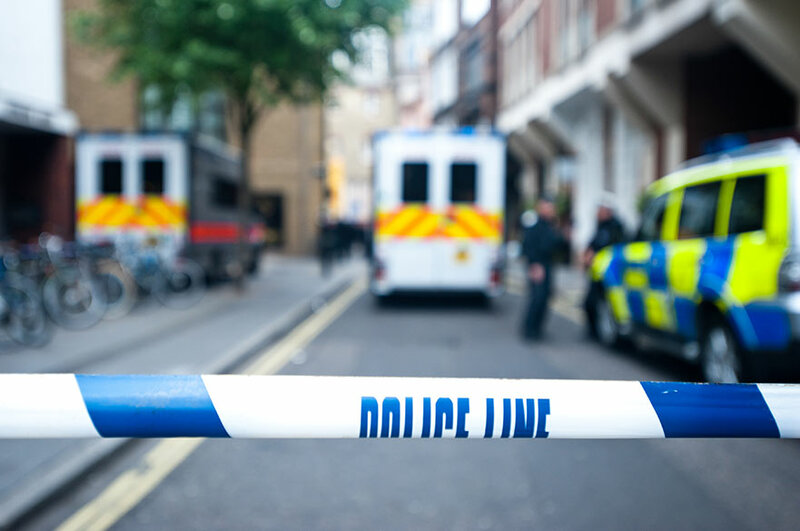 The analysis confirmed that the security hypothesis holds with regards to the vehicle crime drops cross-nationally and to some extent for the fall in burglary across England and Wales. Tseloni's research has had an impact on internal practices in police forces. In 1997, her work with the Humberside police force helped them to identify that the relatively higher crime rate in their area was partly due to the quality of their crime recording systems. A project with the Metropolitan Police Force in 2006 gave them a better understanding of the statistics around their policing of ethnic minority communities. Order in the courts: Restoring trust through local justice. London: Centre for Social Justice, 2009. (Corroborates impact in relation to area distribution of crime rates and repeat victimisation). Understanding victimisation and risk: Findings from the New Zealand crime and safety survey 2006 in an international context. Wellington: New Zealand Ministry of Justice, 2009. (Corroborates impact in relation to distribution of repeat victimisation between different socio-economic groups). 2008-2009 Scottish crime survey: Technical report. (Corroborates impact in relation to impact on design of questions and levels of analysis within Scottish Crime Survey). Overcoming barriers to trust in crime statistics: England and Wales. London: UK Statistics Authority, 2010. (Corroborates impact in relation to impact on design of questions and levels of analysis within British Crime Survey). Community safety barometer. Provincial Government of the Western Cape, 2011. (Corroborates impact in relation to the measurement of perception of risk and repeat victimisation between different socio-economic groups). Preventing repeat victimization: A systematic review. Stockholm: BRA, the Swedish National Council for Crime Prevention, 2012. (Corroborates impact in relation to distribution of repeat victimisation between different socio-economic groups). Focus on violent crime and sexual offences, 2011-12. London: Office for National Statistics, 2013. (Corroborates impact in relation to confidence surrounding international crime drop). Tseloni, A., 2006. 'Multilevel modelling of the number of property crimes: Household and area effects'. Journal of the Royal Statistical Society Series A-Statistics in Society, 169, Part 2. 205-33. Tseloni, A. and Zarafonitou, C., 2008. 'Fear of crime and victimisation: A multivariate multilevel analysis of competing measurements'. European Journal of Criminology, 5(4). 387-409. Tseloni, A., Ntzoufras, I., Nicolaou, A. and Pease, K., 2010. 'Concentration of personal and household crimes in England and Wales’. European Journal of Applied Mathematics, Special Issue on Mathematical Models for Criminality, 21. 325-48. Tseloni, A., Mailley, J., Farrell, G. and Tilley, N., 2010. 'Exploring the international decline in crime rates'. European Journal of Criminology, 7(5). 375-94. Farrell, G., Tseloni, A., Tilley, N. and Mailley, J., 2011. 'The crime drop and the security hypothesis'. Journal of Research in Crime and Delinquency, 48(2). 147-75. Tilley, N., Tseloni, A. and Farrell, G., 2011. 'Income disparities of burglary risk. Security availability during the crime drop'. British Journal of Criminology, 51(2). 296-313. Van Dijk, J. Tseloni, A. and Farrell, G., 2012. The international crime drop: New directions in research. Hampshire: Palgrave Macmillan. Research and Statistics Directorate, Home Office, UK on postcode sector predictions of crime rates, fear and disorder based on the 2000 British Crime Survey and Census area characteristics and hierarchical modelling of crime rates drawn from the 2000 British Crime Survey. University of Macedonia, Greece, Research Committee, Small Grants Programme to explore bivariate zero-inflated Poisson modelling of personal and property crimes in England and Wales. ESRC Research Grant (RES-000-22-2386) Sustaining the Crime Drop in Industrialised Nations: A Crime-Specific Problem-Solving Approach.